- Kiante Irving of Beaver Falls added to his already outstanding amateur resume as he won the 165-pound National Golden Gloves title this past Saturday in Omaha, Nebraska. Irving, 24, defeated 27-year-old Anthony Campbell of Covington, Tennessee by a score of 3-2 to become the first boxer from Western Pennsylvania since Verquan Kimbrough of Aliquippa won the USA Boxing lightweight championship in 2002. 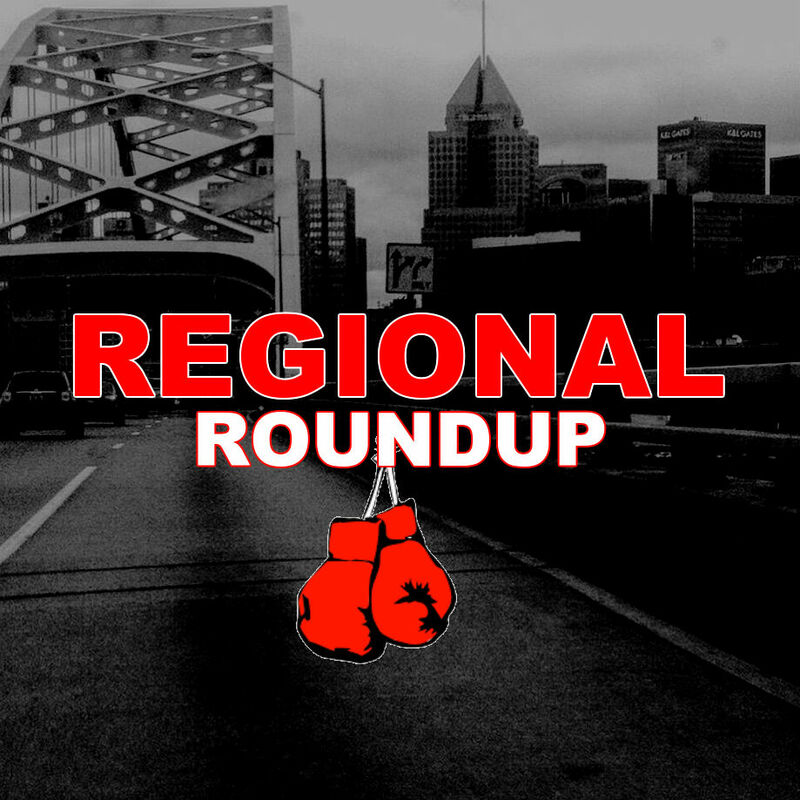 - Boxing will take over The Priory Grand Hall in Pittsburgh as Michael McSorely and Integrity Promotions with The Conn-Greb Boxing Club will host a Pro-Am card. Appearing on the card will be Pittsburgh's own Leemont Johnson (5-0) and Jarrell Brackett making his pro debut. 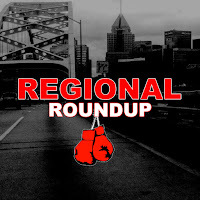 - Pittsburgh was well represented this past Saturday night at The Meadows Racetrack and Casino for the Word FIghting Championships promoted show. during Saturday nights main event at The Meadows. In the main event, Bill Hutchinson, 29, of Pittsburgh scored a split decision over Angel Hernandez of McAllen, Texas in a classic 8-round slugfest at the 135-pound weight limit. The judges scored the bout 77-75 for Hernandez and 77-75, 77-75 for Hutchinson. Middleweight Scott Perhach, 26, of Pittsburgh was able to win his pro debut as he defeated Erick Plumeri of Lockport New York with a second-round knockout. Taking losses from the Steel City at The Meadows was Mark Daley who fell to Danny Rosenberger of Youngstown by unanimous decision and Steve Upsher who lost by knockout to Jonathan Steele of Dallas, Texas. - Cleveland had a great showing at the 2018 National Golden Gloves Tournament in Omaha, Nebraska this past week as two fighters walked away as National Champions. Heavyweight Roney Hines, 23, of Bob Davis Boxing Club scored a 3-2 victory to claim the title over Sonny Conto of Philadelphia. In the female 165-pound division, 22-year-old Morrelle McCane dominated the championship bout as she defeated Leah Cooper of New York by a score of 5-0.